It's easy to forget nature in our busy, urban lives. 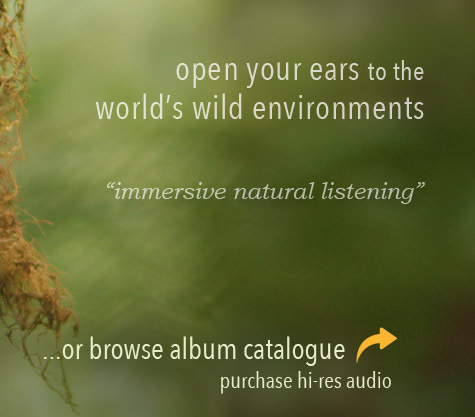 Listening Earth offers a range of natural soundscapes, transporting you to wild places and reminding you of nature's more gentle pace of life. 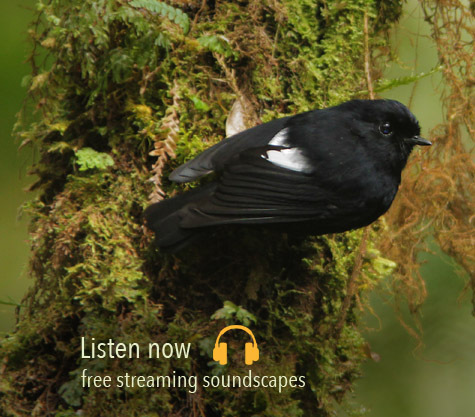 In nearly twenty years of recording in remote locations, we've been fascinated by the diverse, wondrous and delicate sounds of our natural world. Whether you use our sounds for relaxation, personal meditation, to assist sleep, or find delight in the wild 'music' of nature, we hope you enjoy listening as we have. Which album will become your favourite?